To assist in learning about property settlement during and after divorce, Chris Nyst from Nyst Legal gives a good summary and reasoning behind some of the processes. Read on for an in-depth look into the hard numbers behind divorce property settlement. How Does Property Settlement Work After Divorce Or Separation? To Sell Or Not To Sell? How Long Does Divorce Property Settlement Take? Should You Sell Your Property After Divorce? It is imperative that you ensure your financial interests are properly recognised during a divorce. What will you do with your property? This article will explore the process and rules surrounding property division and settlement following divorce or separation, guide you through the steps you can take to get the ball rolling, and provide you with tips and tricks to ensure you get the best outcome possible. It will also provide examples of situations that demonstrate how the process works. Although it is difficult to predict your specific outcome, there are a number of things you can do to ensure the process of property division and settlement is as smooth as possible. Talking to a qualified, professional real estate agent experienced in divorce settlement will help immensely in removing the stress around the divorce settlement process. Our service can assist you in quickly comparing between top-selling agents in your area. Property settlement is the process by which assets (including any houses) and liabilities (including mortgages and debts) are divided following divorce or separation. The process of division of property can be either formal or informal. The decision can be made without lawyers involved or by the Family Court of Australia. 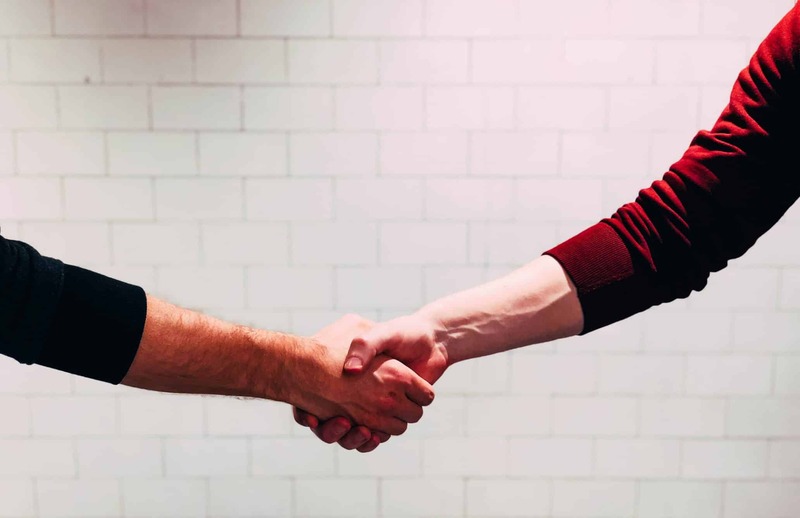 Formalising any agreement you come to with your former partner about who gets what with the courts (via Consent Orders) is important in order to make the terms of the agreement legally binding, safeguarding yourself from any future claims made by your former partner. The ultimate goal of property settlement is to separate the financial ties between the couple so that they are independent of one another. It takes into account any property, debts and other financial responsibilities that were obtained during the marriage or relationship. If you are separating or divorcing from your partner, you will need to sort out how the assets, liabilities and contributions (both financial and non-financial) will be divided to ensure they are maintained. This includes any property acquired after separation but before settlement. 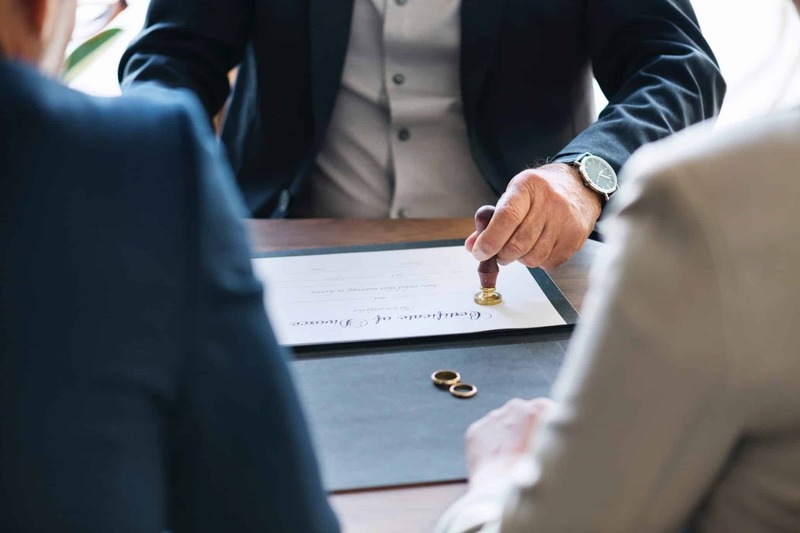 You must act quickly if you wish to divide property because you have up to 12 months following the finalisation of the divorce and 2 years since the breakdown of your de facto relationship to formalise any agreement. If it has been longer than this, you will have to apply to the Family Court of Australia for permission to start the process. A property settlement agreement is a legally binding contract between divorced or separated individuals that outlines the specific arrangements regarding property division following divorce or separation. 1. By coming to an agreement with your former partner on how the property is to be divided and then formalising it through the courts (Note: formalising is optional, but the risk of not doing so could expose you to the risk of future claims by your former partner). 2. Applying to the Family Court of Australia for a decision to be made on who gets what and in what amounts. For more information how the Family Court of Australia deals with property disputes, please visit the ‘Property & Finance’ page on their website. Reaching an agreement without involving the courts will save you time and money, however it may not be feasible in your specific situation. You may wish to instruct a lawyer to act on your behalf before you proceed with making an application to the Family Court of Australia. The laws regarding division and settlement of property are uniform across Australia. That is, the same laws apply regardless of which state of Australia you are in. You do not have to wait until the divorce has been finalised before coming to an agreement, but do keep in mind the time limit mentioned above to start the process as soon as possible. Depending on the option you take, the length will vary. You will likely have a much faster resolution if you are able to come to an agreement with your former partner without involving the courts. But if you cannot, and therefore seek to have the court make the decision, then this may take months or years to be finalised due to having to wait for your matter to be heard and for courts to come to a final decision. 1. List all of your assets and liabilities, with their values. Once both yourself and your former partner do this, this is called the ‘pool of assets’, and it includes things that are both in your own name and shared. Examples of assets and liabilities are houses, bank accounts, mortgages, businesses, loans, and so on. 2. Assess the contributions made by both parties (both financial and non-financial) for each asset separately. You may need help from a lawyer with this step. 3. Determine the future financial needs of each person, such as earning capacity, age, child support (if applicable), health and financial circumstances. 4. Develop a proposed agreement that sets out who gets what and in what proportions. 5. Assess whether you think this proposed agreement is ‘just and equitable’ for both of you. a. If you agree that it is just and equitable, then apply to the court to have it formalised. b. If you do not agree, then apply to the court to have it heard. · An investment property, valued at $1,000,000. · Business loan, valued at $100,000. From this, you may come to an agreement that one will retain the business, and one will buy out the other to own the investment property, or sell the marital home to discharge the mortgage, and any excess monies to be put into child support or spousal maintenance. Then you might apply to the court to have this formalised. If it is up to the court to decide, then the court will undertake a similar process to the one described above, by assessing the asset pool against the direct and indirect contributions from each party and taking into account future needs and earning capacity. Ultimately, for the court to make a decision or formalise an agreement, it has to be ‘just and equitable’ in all the circumstances. Another consideration throughout this process is whether you will elect to sell any of the property you own. This is a common occurrence, particularly when it comes to the marital home. It is worth noting that making this decision is not simply a case of selling and dividing any money leftover. If you decide to sell a property you own, it will become a part of the pool of assets, which will be considered in reaching an agreement. That is, you will need to factor it in when coming to any sort of agreement with your former partner. For example, you may come to an agreement with your former partner that the marital home will be sold and used to pay off the mortgage balance. Or you may agree to sell it to reduce some other debt, pay child expenses, or spousal maintenance. Keep in mind that if you head to the courts to have the decision made for you, then the court has the power to order that you sell your property, regardless of whether you agree that you should do so or not. Therefore it is wise to start thinking about this from the beginning of the process to ensure you have time to bring it up with your former partner and come to an agreement sooner. The marital home, which is worth $1,000,000 with a mortgage of $800,000 – totalling $1,800,000 in value. A Ford Falcon car, worth $20,000. They each keep their superannuation. Sam is to refinance the home and pay Lisa a sum of money to buy out her share. Mr and Mrs Elias owned a series of assets, including the ‘M Street’ property, valued at $1.4 million and the ‘Q Street’ property, valued at $815,000. They divorced in April of 2015. Mrs Elias sought an order that Mr Elias pay her a sum of money, and if he did not, she wanted to be appointed as trustee in order to be able to sell the ‘M Street’ property and keep the proceeds. Mr Elias sought to be declared the sole owner of the ‘M Street’ property and to indemnify Mrs Elias (in effect, buying her out). Additionally, he wanted Mrs Elias to pay him a sum of money and, if she did not pay, he wanted to be able to sell the ‘Q Street’ property and keep the proceeds. When they eventually realised that Mrs Elias did not have the funds to pay for ongoing proceedings, they sought orders to sell the ‘Q Street’ property, and eventually agreed to, and had formalised, an agreement that authorised Mrs Elias to sell the ‘Q Street’ property. Keep a record of all assets, debts and liabilities accumulated during the marriage or de facto relationship, including any documentation relating to the property being sold and how much they are worth, loan agreements and Certificates of Title. Keep your former partner informed throughout the process of both property settlement and selling (if you decide to). Consider obtaining legal assistance in both the settlement and selling of property. Going to mediation. This is where you attend with a neutral professional who assists and guides you through the communication process. If an agreement is reached through mediation then it can later be formalised. Arbitration. This is similar to court but less formal, and you choose the Arbitrator. If an agreement is reached through arbitration, an Arbitral Award is registered with the court and it becomes binding on the parties. Hire a real estate agent to guide you through the process of selling and help you get the best value for your property. Which Real Estate Agent helps property owners compare top-performing agents to sell their property. If you decide to sell your property, click here to find an agent with expertise in achieving good sale price outcomes. Leave it until right before the divorce is final to start the property settlement process. Attempt to hide assets or property from the pool of assets by transferring them or putting them on trust (this will reflect negatively on you). Getting divorced is a difficult process and when you add dealing with property into it, especially if you have to sell, it can get more stressful. If you are looking to sell with less stress, the best thing you can do is find a top local real estate agent who has experience in dealing with divorce settlements. Top agents will be able to help you sell a property promptly and work hard for your sales goals. We’ll compare the top-performing agents in your area and get you in contact with them. We pride ourselves on making the agent selection process as easy as possible, so if you’re looking to sell, get in touch today.